Though we are all eagerly awaiting spring, March is kind of great because you get to experience both seasons at once. Not the best weather for avoiding a cold, but great for playing in your wardrobe! Some days are mild, some are a bit colder and instead of my natural instinct to pout on the cooler days, I decided to turn it into a fashion opportunity. 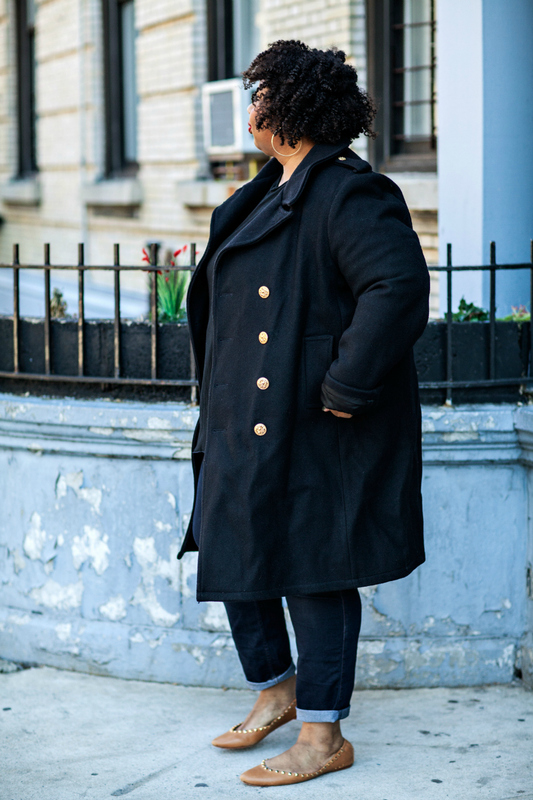 I bought this military coat early in the winter season and totally forgot about it. Whoops! 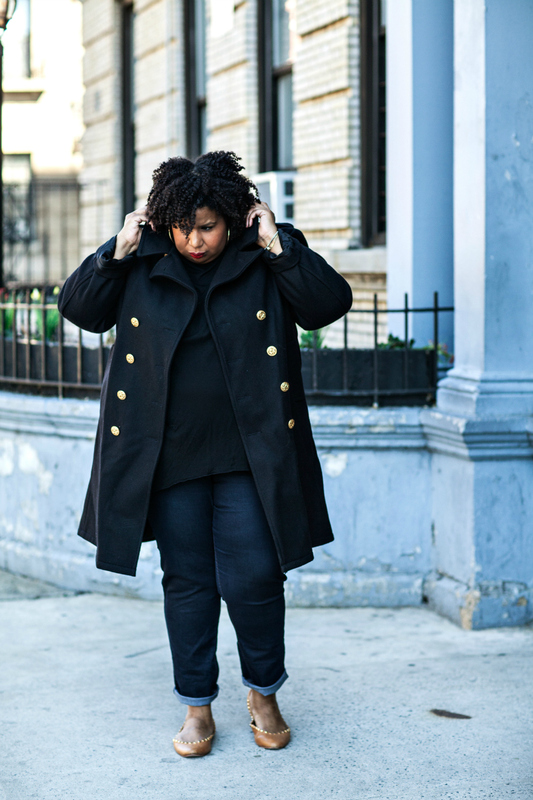 It's a government official Navy coat that I found thrifting here in the city. I got it dry cleaned, hung it in my coat closet and it's existence completely slipped my mind. You an imagine my surprise when I noticed the dry cleaning bag crumpled on the floor of my closet. "OMG, I forgot about this coat...ugh!!! Ah well, there's always next winter." 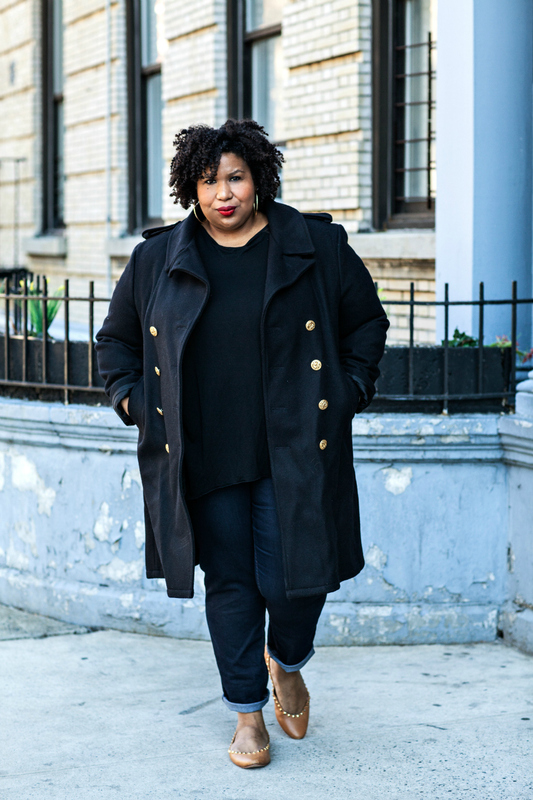 Then, the temps dipped and my "new" coat was ready for some action. TIP: When thrifting/vintage shopping. Always look in the menswear section. Gems can be found there too! 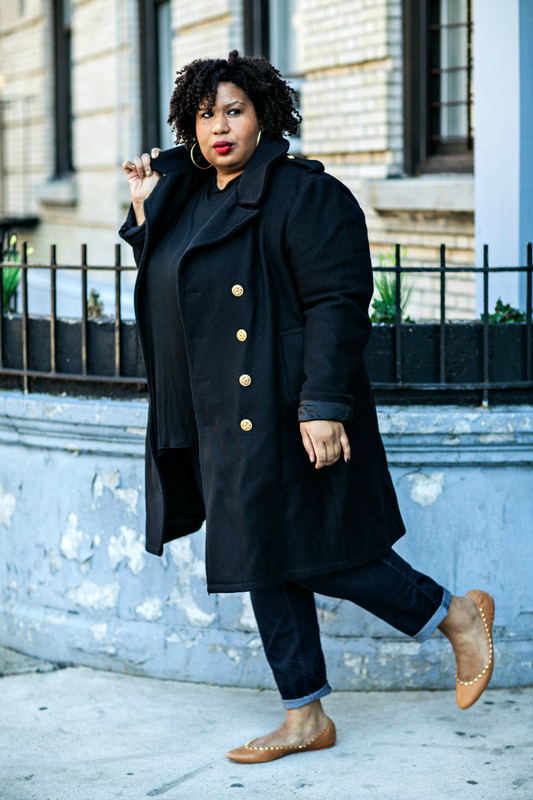 Military Coat: Vintage (similar), Genius Fit Dark Rinse Jeggings: c/o Lane Bryant, Flats: Matt Bernsen - Flats are making a bit of a come back for me. You can try other cute flats that I found here and here.